I have decided to collate the results of both polls conducted last week now, so that there is plenty of time to organise how they will impact upon my production. I would like to get as much work which does not concern the actual footage done as possible, so that I have more time for the lengthy process of editing. 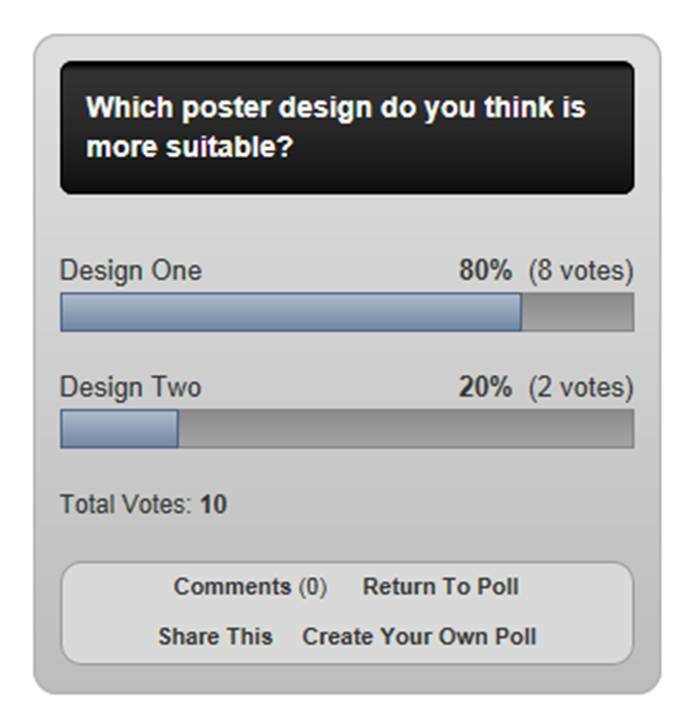 The results show that my audience much prefer Design One to Design Two of my poster ideas. Whilst looking over my designs, I was afraid that due to a lack of colour, Design Two was not clear enough, giving Design One an unfair advantage. Nevertheless, given the huge result that Design One received, it was unlikely that a small change in design would have made much difference. Now that design One has been chosen, my primary concern is making it look as sophisticated as possible, as well as achieving perfect lighting and composition. There is a slight issue with this poll in that it received only nine votes, as opposed to the ten that the poster poll received. Unfortunately, as this is an anonymous poll, I cannot chase down the one person who did not vote on both polls. However, clearly the results show that even if this one person had voted, the results would stay relatively unchanged. 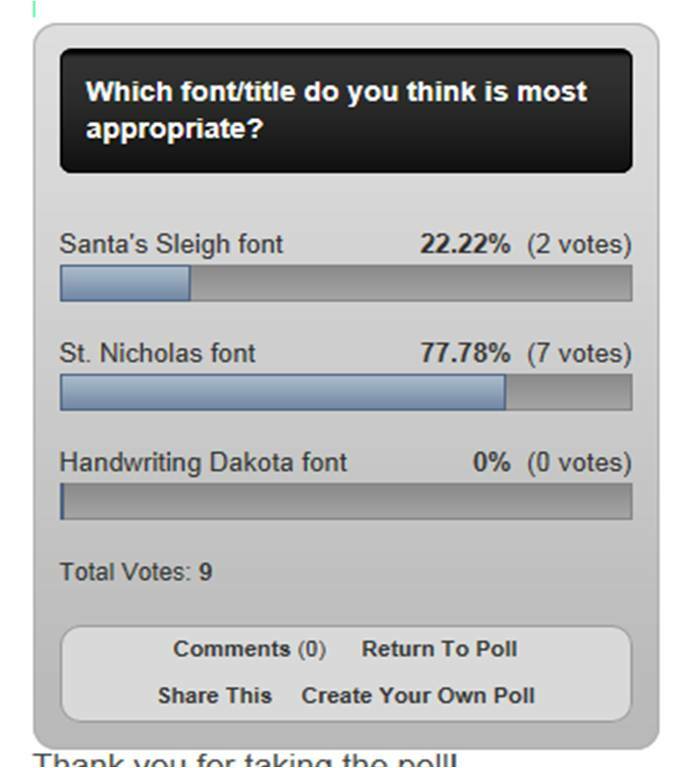 I personally would have chosen the Santa’s Sleigh font, however, clearly my audience do not agree. I have decided that I’ll go with their choice, seeing as I have little reason to not to. Since deciding on this font, I have seen many other positives with it. I especially love the way that it perfectly reflects both the slightly ominous feeling as well as a traditional Christmas feeling.